As the UK government seems determined to pursue a hard Brexit, banks in the City are planning to shift some operations and thousands of jobs to other European Union countries to ensure full access to the EU’s single market. The French finance minister, Michel Sapin, said in Paris last week that some US banks, which employ about 25,000 people in the UK, have decided that “activities will be transferred to the continent” as Britain is about to leave the EU. “Until now their question was whether Brexit will happen or might it take longer than expected. That’s over,” Mr Sapin said. Meanwhile France is working on promoting Paris as the “future financial capital”. “Tired of the Fog? Try the Frogs!” is the title of an advertising campaign launched on Monday that promotes Paris’ financial district La Défense, featuring posters at London’s Heathrow Airport and Eurostar’s London terminus, St. Pancras. France’s financial regulator, the Financial Markets Authority (AMF), also announced a few weeks ago that it is “simplifying and speeding up licensing procedures” for UK-based financial companies wishing to relocate their operations in Paris, including a fast-track “pre-authorisation” programme. 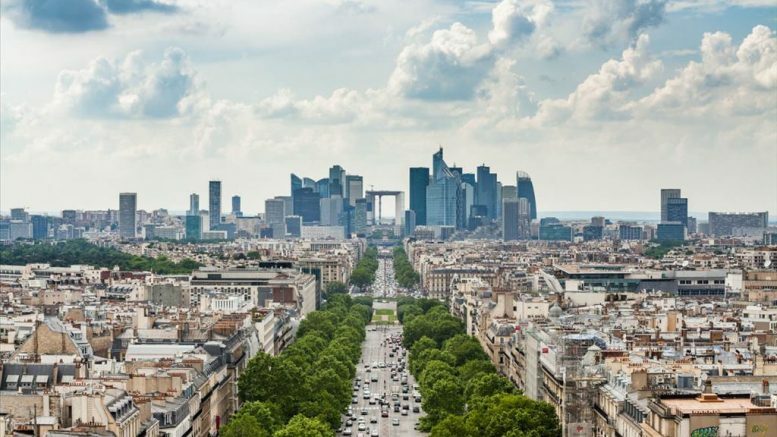 The French government is next month set to debate its promised tax breaks for UK-based companies, including benefits for expatriates such as income tax breaks of up to 50 per cent and the right to exclude overseas assets from the wealth tax for eight years. Arnaud de Bresson, chief executive of Paris Europlace, the financial lobby group, who attended this week’s Brexit & Global Expansion summit in London, told Reuters: “our estimate is that close to 10,000 people involved in the financial sector could move from London to Paris in the next few years, and Paris is getting fully organised for that”. Germany is another major European financial centre hoping to woo banks away from London after Brexit, even considering changing its restrictive labour laws to make Frankfurt a more attractive destination. Also speaking at the London summit, Hubertus Vaeth, head of Frankfurt Main Finance, which promotes Frankfurt as a financial centre, said that UK-based banks would be moving some operations to Germany in the second half of 2017. “We believe that Europe needs a global financial centre,” Mr Vaeth said. However, a report released on Monday by pan-European think tank Open Europe claims that London-based businesses and jobs in the financial sector might actually go to the United States or Asia, not Europe. Stephen Booth, a co-author of the report and acting director of Open Europe, said: “It is not obvious that business[es] moving out of the UK would relocate to another European hub: New York, Singapore or Hong Kong would be just as well, if not better, placed to reap the benefits”. This was echoed by James Gorman, chief executive of Morgan Stanley, who said earlier this month at the Institute of International Finance’s (IIF) annual meeting in Washington DC that “the big winner [from] Brexit will be New York; you’ll see more business moving to New York”. A spokesman at TheCityUK, also told Chief-Exec.com last week: “there has been some suggestion that [financial] jobs are more likely to move out of Europe altogether rather than move to another part of the EU”. The London-based think tank, which downplayed the importance of passporting rights – “important to business in some sectors, less so in others” – also stressed in its key recommendations the significance of the City as not only benefiting the UK but also Europe. “The UK needs to convince the EU that keeping cross-channel financial markets open is a mutual interest,” Open Europe said. Be the first to comment on "EU to profit as banks consider their future"